WASHINGTON — Beijing will open its borders to U.S. beef, while cooked Chinese poultry is closer to landing on American supermarket shelves under a U.S.-China trade agreement. Trump administration officials hailed the deal as a significant advance toward boosting U.S. exports and closing America’s trade gap with the world’s second-largest economy. U.S. trade experts offered a more muted assessment, calling the agreement a modest fulfillment of past assurances made by China. Among other things, the deal enables U.S. companies to export liquefied natural gas to China. It will also lower long-standing barriers that have affected matters ranging from agriculture to the operation of American financial firms in China. “This is more than has been done in the whole history of U.S.-China relations on trade,” Ross told reporters Thursday evening at the White House. But trade experts questioned the magnitude of the deal. “These are modest moves which by themselves will not have much effect on the U.S. economy,” said David Dollar, a senior fellow at the Brookings Institution and former Treasury Department official. 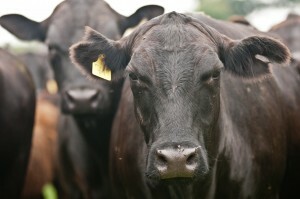 The beef exports and electronic payments in the agreement have long been promised by China. And the agreement does little to address some key issues of trade friction, such as automobiles or social media. While the Trump administration has touted a surge in U.S. manufacturing, this agreement does little to help that goal. “The challenge is selling manufactured goods into China — there isn’t anything in this deal to suggest China is going to become more open to U.S.-manufactured exports,” said Brad Setser, a senior fellow at the Council on Foreign Relations. It remains unclear how far China will go to allow more American exports. Previous administrations have hailed market-opening agreements only to be left disappointed. “The key in these negotiations is specifics that are enforceable — literally, the devil is in the details,” said Scott Mulhauser, a former chief of staff at the U.S. Embassy in Beijing. Trump made America’s wide trade deficits and especially the gap with China a major issue in his campaign and during the early days of his administration. He’s argued that America’s perennial trade gaps have cost millions of factory jobs and he has pledged to take a tougher stance in trade negotiations to lower the imbalances. Under the agreement, the United States is inviting Chinese companies to import U.S.-produced liquefied natural gas. The Energy Department has authorized natural gas shipments of 19.2 billion cubic feet per day to China and other interested countries that lack a broader free trade agreement with the United States, the Commerce Department said. China is turning more to natural gas as a way to reduce its dependence on coal and combat the country’s extensive air pollution. The move would allow China to diversify its supply and provide a major market for American suppliers, though the expansion could lead to higher prices for U.S. consumers. The agreement would also ease import restrictions on agricultural goods, including ending China’s ban on beef imports, which was imposed in 2003 after a case of mad-cow disease. In exchange, the U.S. would allow the sale of cooked Chinese poultry — a move Ross said could be done safely. The agreement would also streamline the evaluation of U.S. biotechnology product applications; pave the way for allowing American-owned suppliers of electronic payment services to begin the licensing processes in China; and facilitate the entrance of Chinese banks into the U.S. banking market. The agreement grew out of negotiations the countries agreed to start after Trump’s meeting at his Mar-a-Lago estate with the Chinese president. America’s trade deficit in goods and services with China totaled $310 billion last year, by far the largest imbalance with any country. The two countries have also agreed to hold talks this summer to be led by Ross, Treasury Secretary Steven Mnuchin and Vice Premier Wang Yang to work on a one-year plan. While Trump had earlier said China could receive more favorable trade terms from the U.S. in return for help in persuading North Korea to cease its nuclear and missile activities, Zhu downplayed any suggestion of a link between the two. “Both sides have a deep and close understanding that the U.S.-China economic relationship can’t be politicized.” Zhu said. Associated Press writers Gerry Shih in Beijing and Josh Boak in Washington contributed to this report.